3DPaintAR ist a Coloring Book for kids and adults. You can choose 13 different animals and color them in real space. 1. Put a marker, i.e. a newspaper cover, photo, beer coaster or any other colorful detailed pattern on the table. 2. Take a picture of your selected marker with your smartphone camera. 3. Select the animal you want to color. 4. Choose the desired color and start to paint with your finger. 5. You can also adjust the size of the brush for more details. 6. The animals are animated. Watch them in action if you want. 7. 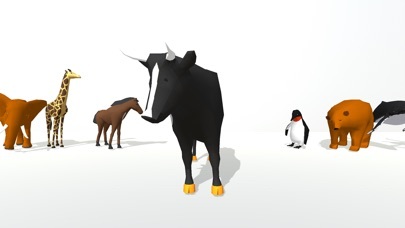 When you are ready, record your result and share your animal with other users on the Everyplay platform.